Biological diversity – or biodiversity – is the term given to the variety of life on Earth and the natural patterns it forms. Biodiversity is commonly thought of as the number of species in an area and their relative abundance. It also includes genetic diversity (of a population), and community diversity within a larger area or ecosystem. Habitat diversity, which is the range of habitats in an area, is described in Aquatic Habitats. The biodiversity we see today is the result of billions of years of evolution, shaped by natural processes and, increasingly, by humans. This diversity is often understood in terms of the wide variety of plants, animals and microorganisms. So far, about 1.75 million species have been identified on Earth, mostly small creatures such as insects. 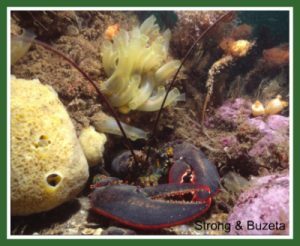 The Census of Marine Life Program in the Gulf of Maine has counted over 3,200 coastal and marine species in area. The current species count identifies at least 652 fishes, 184 species of birds, 733 different species of microscopic plants and algae, and 32 mammals that all call the Gulf of Maine home. Human activities and natural conditions affect ecosystem functioning through direct and indirect effects on species and communities. Major human impacts include: introduction of non-native species; regional changes in species composition or gene pools; physical and chemical alterations of habitats, and local alterations to biotic communities. Both the United States and Canada are signatories to the Convention on Biological Diversity (CBD), an international legally-binding treaty that aims to conserve the world’s biodiversity and manage it in a fair and equitable manner to the benefit of society. In addition to the Actions and Responses described in each theme paper, many different organizations have developed guidelines, codes of conduct, best management practices, or other types of advice aimed at addressing the issues described in the theme papers. Some of the guidelines related to Biodiversity can be found here. These links are maintained by outside agencies and are provided for information purposes. The linked documents are not endorsed by the Gulf of Maine Council on the Marine Environment.